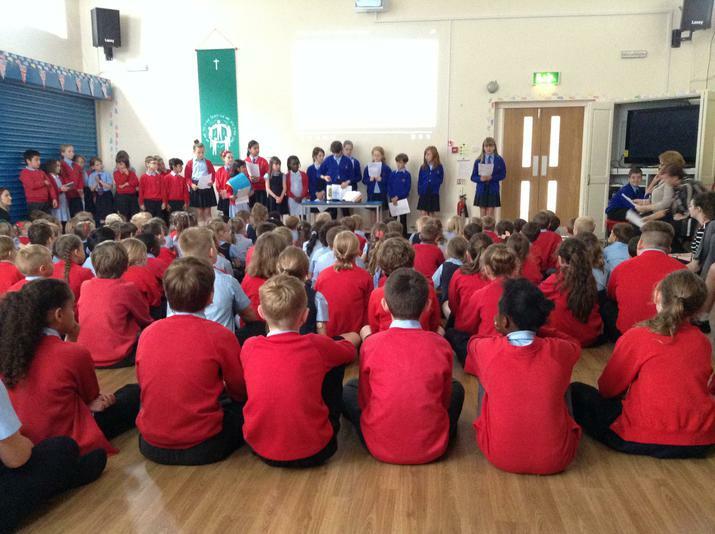 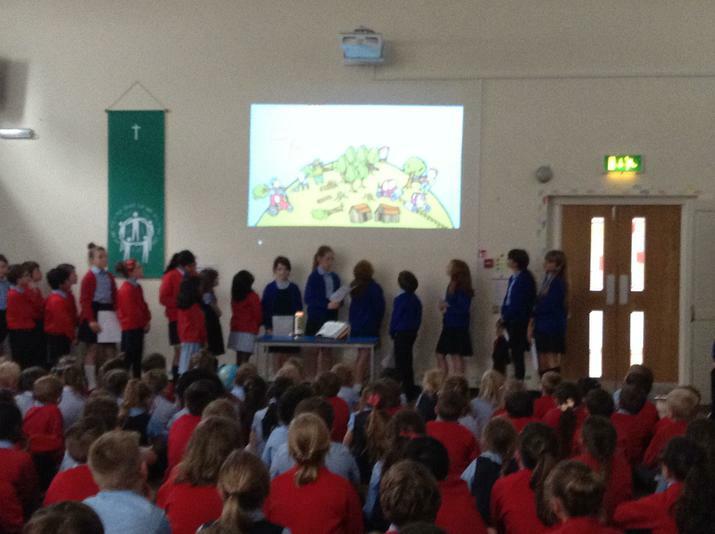 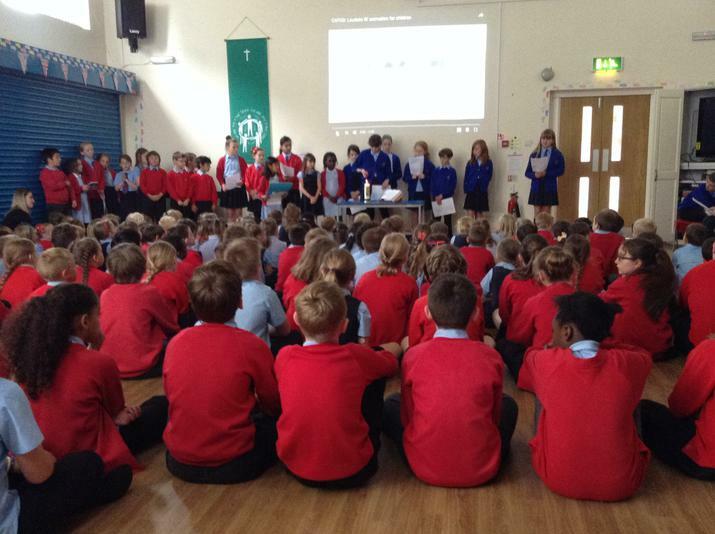 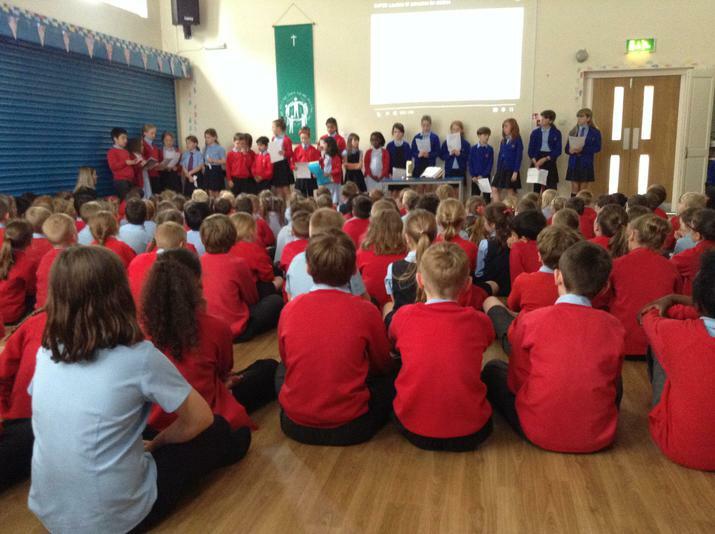 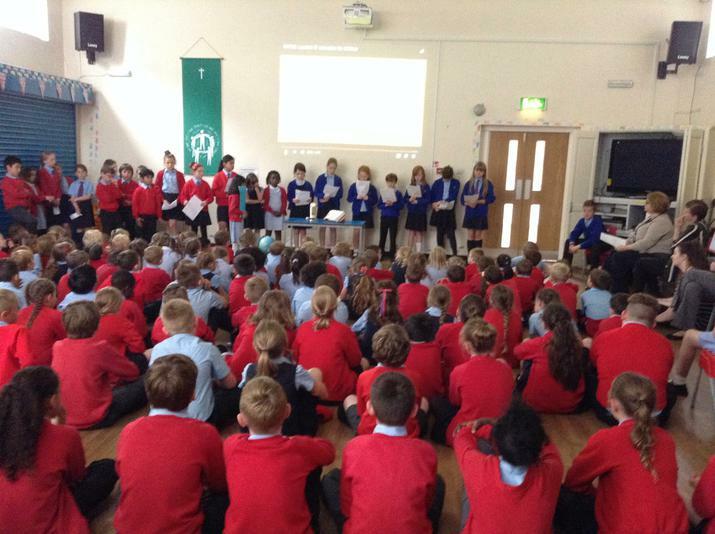 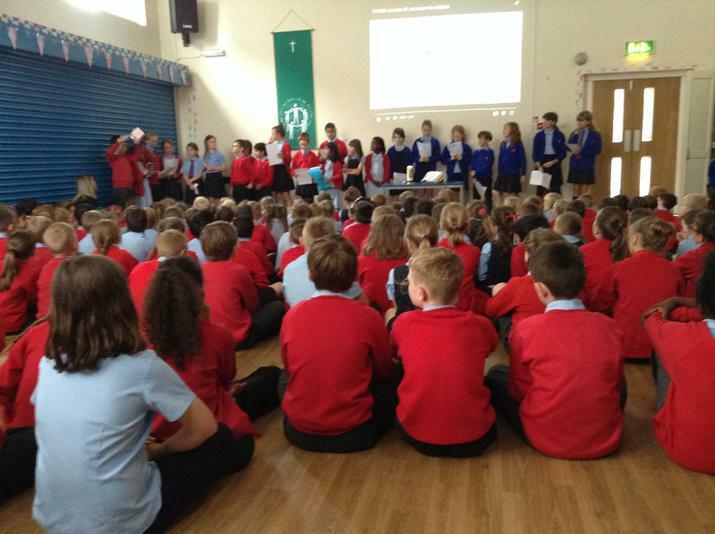 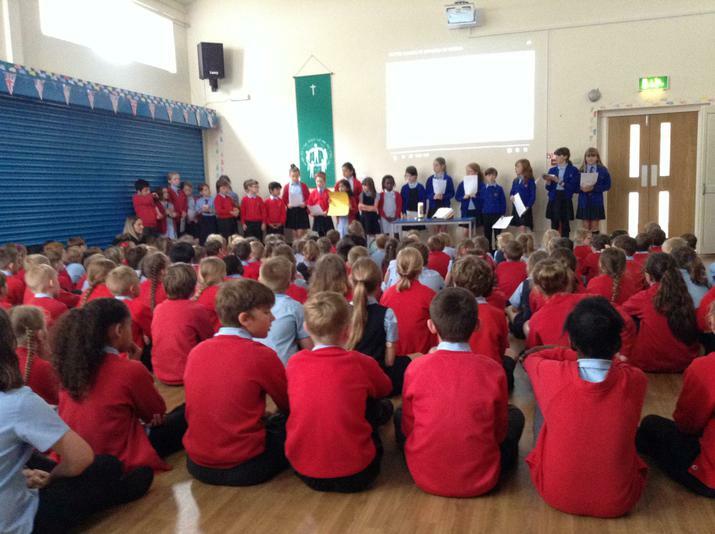 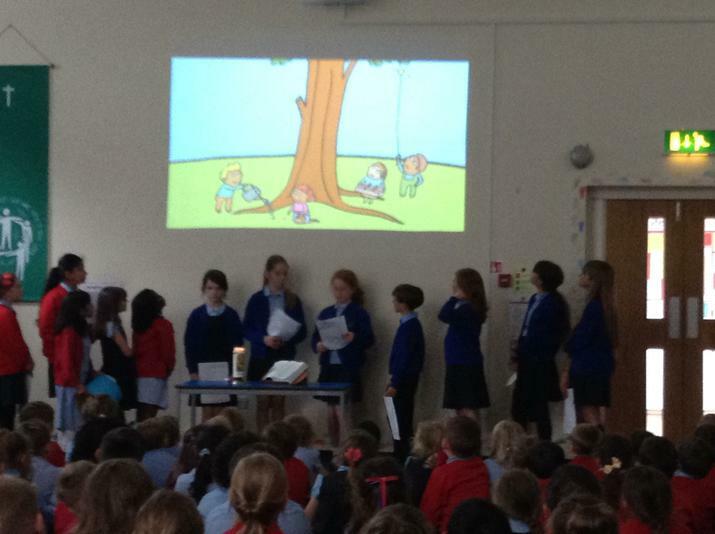 Today the pupil chaplains joined with the Eco group to present an assembly about looking after our world. 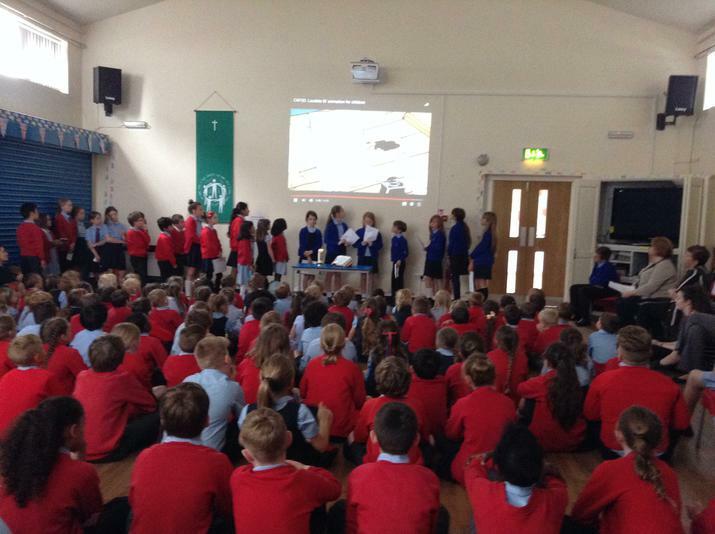 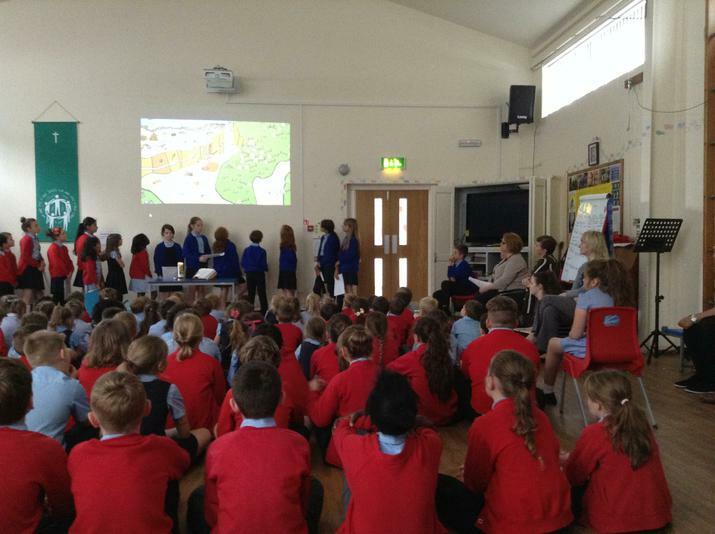 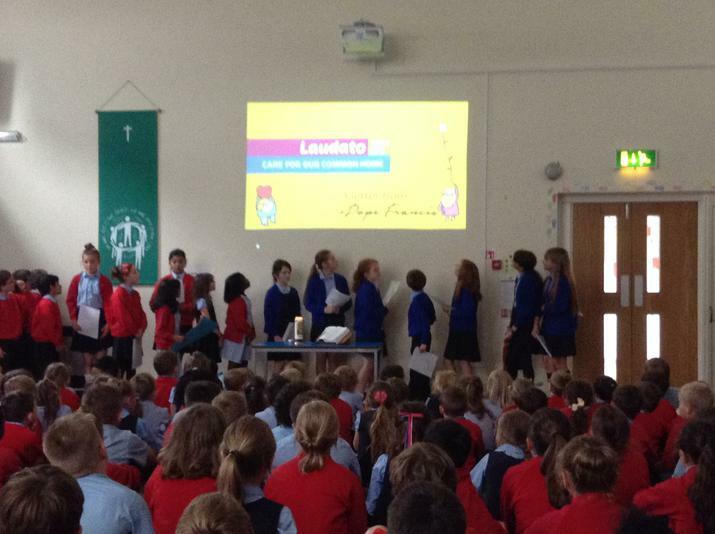 The whole school watched an animation made by CAFOD about Pope Francis' letter Laudato Si. 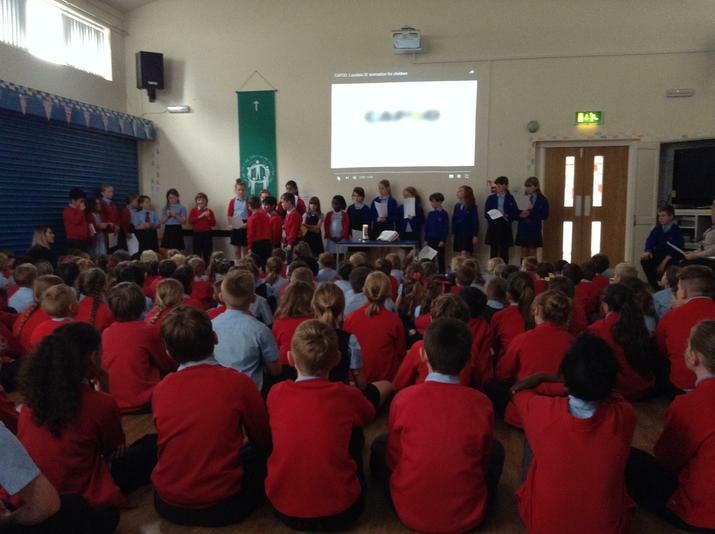 A project was launched ready for September, when we hope to collect unwanted CD's, DVD's and computer games which will be sold. 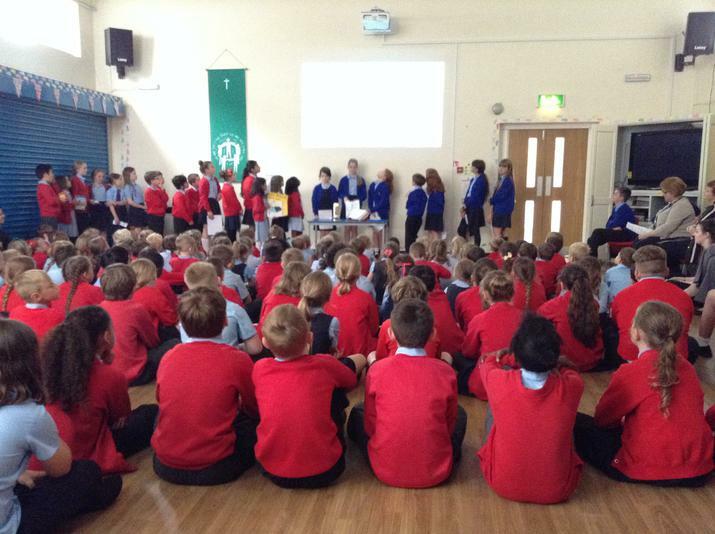 The money raised will go to the food bank at Caritas in Bury. 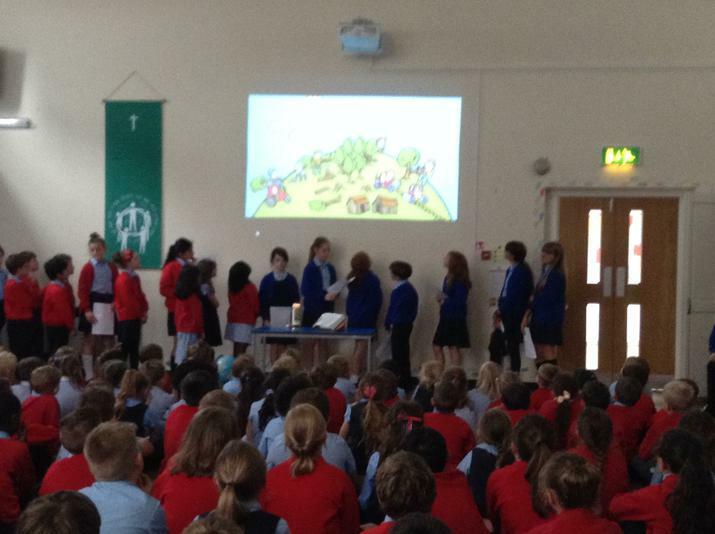 The children explained this will help people in need.